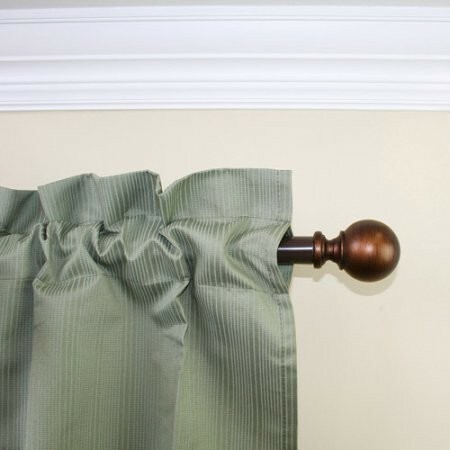 Step up your style with this Decorative Curtain Rod by Mainstays! 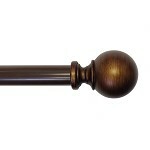 This 1" diameter painted metal rod has a Bronze finish and matching decorative ball plastic finials. 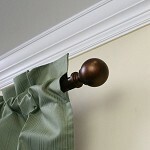 The rod adjusts from 30 to 84 to fit your window and projects 3 " from the wall. The 1" rod diameter and larger finials make a bold fashion statement. To create a contemporary look, use with grommet curtains. Also great for back tab and pocket curtains. Three mounting brackets, hardware and instructions are included!